Indigo8 represents the most advanced solution for growing fashion and clothing brands to run their business. At Indigo8, we pride ourselves on systems with functional and ergonomic design that will integrate all aspects of the business including product development, sales across multiple channels including Wholesale, Web and Retail POS and inventory and warehouse management. When coupled with our seamless Xero integration, your business, small or large will be running the most advance system of its kind. Synchronise invoices and receive payments without lifting a finger... It's so easy the setup literally takes 3 minutes. Link to many trading entities, multiple and Xero Accounts and sell across multiple currencies. 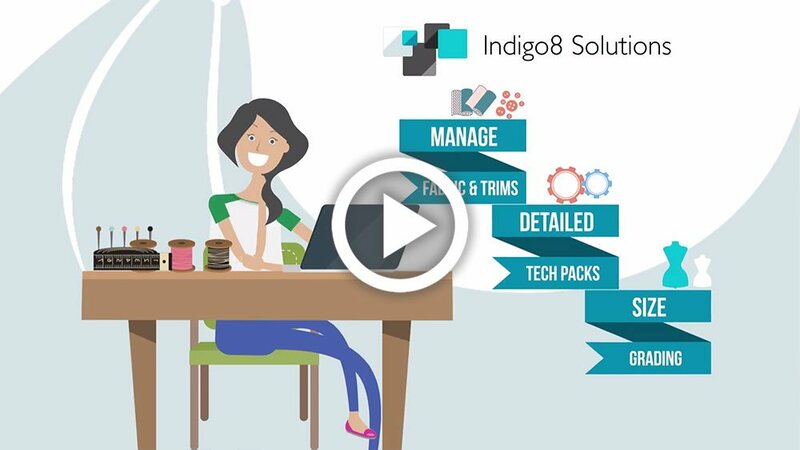 Indigo8 takes a modern approach to managing your business. Our systems come with an innate understanding of the fashion and clothing industry. We also recognise that no two companies are the same so that's why no other system can bend and flex to the needs of your brands. Manage some or all aspects of your daily operations. Generate reports on the fly. Integrate seamlessly across multiple sales channels. Greatly reduce your data entry requirements. Share information across your company with one source of truth. Functionality that will grow with you. 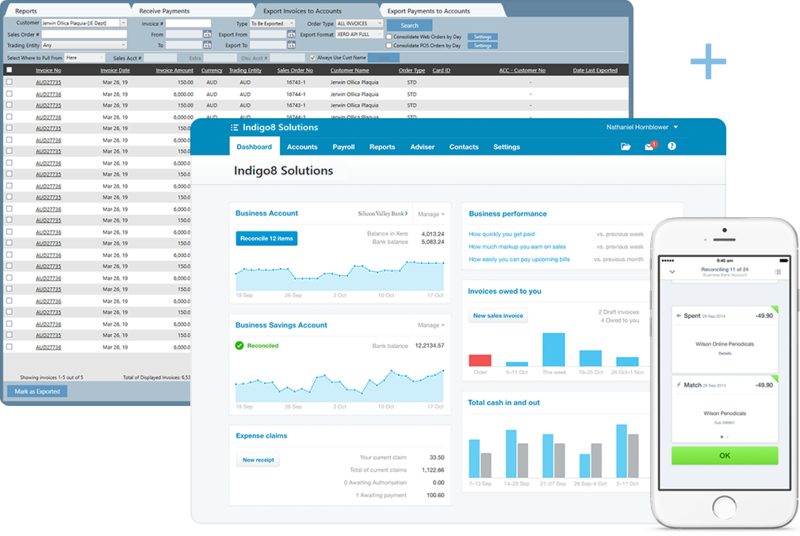 Xero is world-leading online accounting software built for small business. Get a real-time view of your cashflow. Log in anytime, anywhere on your Mac, PC, tablet or phone to get a real-time view of your cash flow. It’s small business accounting software that’s simple, smart and occasionally magical. Run your business on the go. Use our mobile app to reconcile, send invoices, or create expense claims - from anywhere. Get paid faster with online invoicing. Send online invoices to your customers - and get updated when they’re opened. Reconcile in seconds. Xero imports and categorises your latest bank transactions. Just click ok to reconcile. "It's just the best solution available! We run our eBoutique, track our world wide sales in multi-currency's and manage our agents from it." "We needed a system to help us get organised. Indigo8 was the only one we could fully understand." "Buying Indigo8 is an easy business decision, their system will run your entire operation, with excellent customer service at the right price"
"Indigo8 is the only provider we found that could combine our fast fashion development requirements with a powerful Invoicing and Inventory solution." "We use Indigo8 to run our wholesale business and our successful web store. Having everything in one system will change your business." "We needed a multi-currency solution to handle our world wide orders. This is it." "Our industry experience allowed us try many fashion software solutions. Indigo8 was the easy choice when we started our own label." Indigo8’s Lite fashion business system is perfect for small fashion businesses and wholesale companies alike. Indigo8 Lite will hold all of your style information, build Sales Orders, generate consolidated Purchase Orders for your suppliers, warehouse stock and invoicing of customers. As your fashion company grows and changes, so will your system requirements. Hold fabrics and trims. Grade styles. Generate costings and tech packs from a Bill of Materials. As your fashion company will have it’s own specific needs, our Enterprise system has been designed to be customised to meet these specific needs, ensuring a software solution that will create many efficiencies within you business, saving you hundreds of hours a year. Our Agent App is a sales tool for sales agents to receive products from any Indigo8 Enterprise system account. When Sales Agents are at an Expo or showing, they can use it to take orders in a beautiful yet efficient manner, that empowers both the agent and the customer via a clear, simple and visual interface. The Sales Orders are then sent automatically back to the brand, creating a seamless ordering network that we call AGENT CONNECT. Pret-a-Pos is a leading point of sale system designed specifically for retail stores servicing the fashion and apparel industries. Giving you the ability to capture customer information, generate gift vouchers, run promos, mark as VIP and integrate with MailChimp and when you add stock, it will be with all colour and sizes by style, Pret-a-Pos has become the first choice for growing fashion labels. With no set-up fee, and only $135 per month, Pret-a-Pos may be the most affordable fashion retail software on the market!